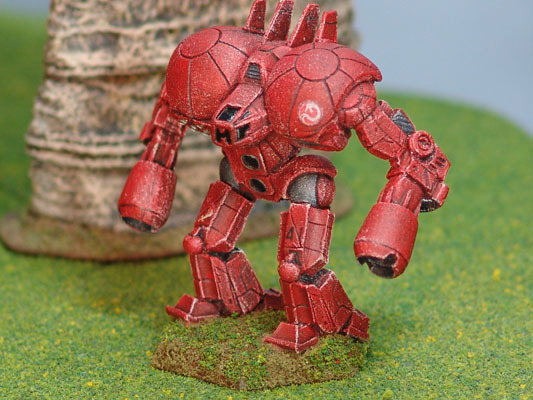 The crest of House Kurita is painted on each BattleMech's left shoulder, with the color of the dragon changing for each regiment. 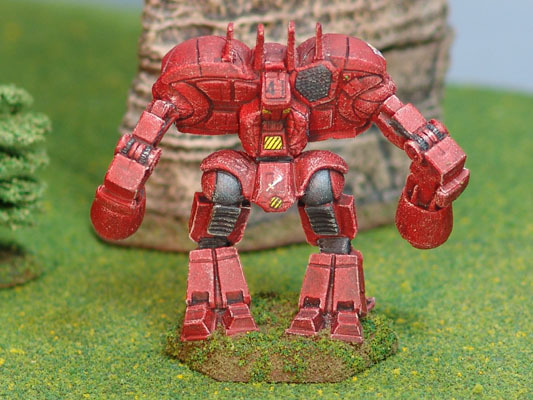 The symbol of the regimental division, a blazing sword, appears on every 'Mech's back and on the front of the right leg. The Second sports a steel-gray dragon in its House Kurita crest. In addition to the House Kurita crest, the Second Battalion of the Second Sword of Light wears the flag of Kentares IV on its 'Mechs. 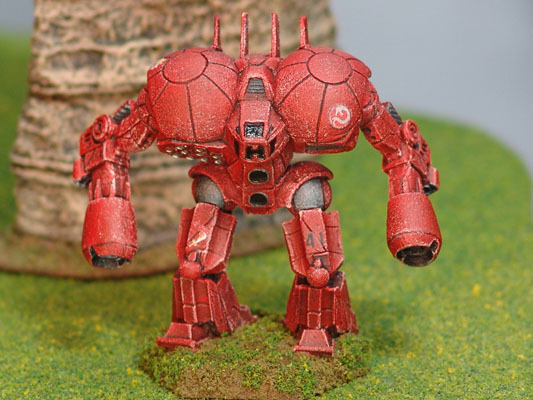 Ever since the Second Battalion's participation in the long-ago Kentares Massacre, its MechWarriors have painted the flag of Kentares IV on the back upper-right torso of their BattleMechs as a reminder of their predecessors' willingness to sacrifice their own honor in service to House Kurita and the Draconis Combine. Per FM: Draconis Combine, pages 83 and 85.